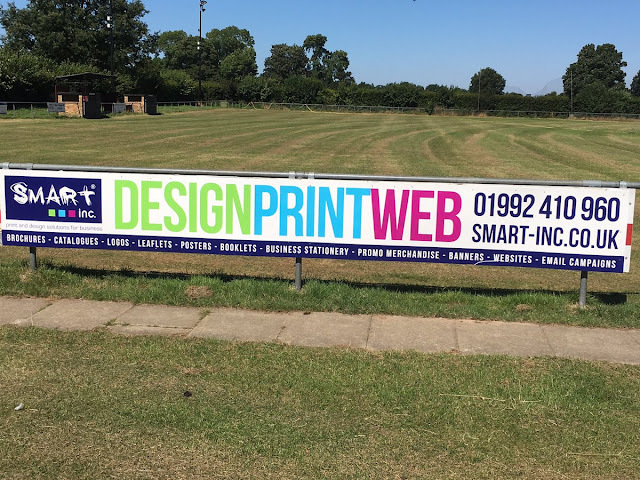 Wormley Rovers are one of the many clubs who have made the move up to the brand new step six Eastern Senior League South division for the 2018/19 campaign. The club have played in the Hertfordshire Senior County League since 1976 where they have been members of the Premier Division since 1992 finishing runner's up in 1994, 1999, 2000 and 2010 . 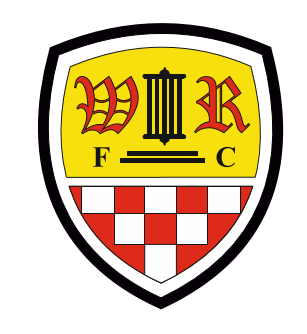 Wormley Football Club was originally formed in 1921 and reformed in 1947 after the second World War and moved to it's present home at Wormley Playing Fields in 1954. Since they moved to the Hertfordshire County League the club have a very successful youth section with a number of players moving on to represent professional clubs. David Bentley (Arsenal, Blackburn Rovers and Spurs) began his career with Wormley Youth as as well Charlie Lee who was with Leyton Orient last season having played for Gillingham, Peterborough United and Stevenage in the football league. The first team is currently managed by Adam Arnold - here is a quick interview with him about his career and his plans for the team. WHAT IS YOUR FOOTBALLING HISTORY? I played the majority of my football at Hoddesdon Town first team from around when I was 19 to 25 years old. I had a brief return at Hoddesdon as player/assistant manager in 2015, maintaining the clubs status in the Premier Divison. I have also played for Broxbourne Borough and Hinton FC. Whilst I was at Hinton we successfully won the Hertfordshire Senior County League. SUM UP LAST SEASON WITH WORMLEY ROVERS? The best part of the season was the season in general, we done excellent to turn the team around after such a poor start. We played great football and competed against every team and thoroughly deserved our fifth placed finish. The discipline record was also a massive improvement. The most pleasing aspect was the reaction from the committee members and spectators watching the games, it was great to hear the positive comments about how the team had played and what a delight we was to watch. The worst part was losing in the semi final against Catholic United. I got sent off after 30 minutes for hand ball and it left the team with no real chance of coming back. I felt I had let the club and players down massively. The reaction and support from the players, management team and chairman after the loss was fantastic. We played three top teams this season in BaldocK Town, Catholic United and Bovingdon. I would go with Bovingdon as having played them three times I could see the quality the team had. They were the best team in the league by a stretch. The best player played against was the Catholic United striker Dan Trenkel, he dominated the whole back four and was a real handful. He was a top striker and caused us no end of problems. He run the whole game from the centre forward position. YOUR AIMS FOR WORMLEY ROVERS THIS FORTHCOMING SEASON? My aim for this year is to consolidate the club at step six level, I also want to have a clear pathway for our youth players to get into the reserves and first team. We need to be competing with our near neighbours (not financially) as we are surrounded by at least six teams playing higher up the pyramid. ANY YOUNG PLAYERS THAT PEOPLE COULD LOOK OUT FOR AT WORMLEY ROVERS THIS FORTHCOMING SEASON? The under 18's this year have had a successful season. I'm looking for Danny Judge, Regan Fromet, Kane Reynolds and Ben Quarrington-Carter to become permanent fixtures in the first team. WHICH TEAM ARE YOU MOST LOOKING FORWARD TO FACING IN THE NEW DIVISION? Harwich and Parkeston as it’s a club that has a lot of history and the ground is what I would call a typical non league ground. THERE HAS BEEN SOME NEGATIVITY AND SOME CONTROVERSY ON PLACING 'HASHTAG UNITED' AT STEP SIX OF THE NON-LEAGUE LADDER... WHAT ARE YOUR THOUGHTS ON THEM? Hashtag have been getting all the headlines but it is very difficult for the Football Association, when carrying out a restructure, to get it right first time. The headlines will get more people talking and becoming interested in Non League football. It's great to see that our near neighbour's FC Broxbourne Borough have been reprieved. The reaction on twitter over the decision shows how important supporting the local community and clubs is so I am delighted they have retained there step six status. HOW CAN THE FOOTBALL ASSOCIATION IMPROVE FOOTBALL AT GRASS ROOTS LEVEL? Funding Funding Funding. As a community based charter club we are so reliant on volunteers. The coaching course costs need to be cheaper to encourage people to get involved in coaching. Advice and support for all areas of the ground, the maintenance of the pitches and other off field works. There needs to be more support for all weather facilities, this will improve the game if the right advice and support is given. WHAT'S THE BEST THING ABOUT FOOTBALL AT YOUR LEVEL? The commitment that the off field staff put in at clubs. The amount of work behind the scenes at Wormley that is carried out by our volunteers and committee members is unbelievable. Without these people we wouldn’t have the luxury of being able to play football. AND THE WORST THING ABOUT FOOTBALL AT YOUR LEVEL? The way the officials are treated. Its by far the hardest job in football and too many managers/coaches/players are giving the officials a hard time. A referee may make one mistake a game and its highlighted by everyone yet us managers and players make many mistakes and try to hide them away! I have the up most respect for the officials and really appreciate how much of a difficult job it is. HOW MUCH DOES IT COST TO GET A GAME ON AT WORMLEY ROVERS? It costs us around £9,000 a year to run the first and reserve team, this includes the pitch maintenance and costs of game and training etc. Any ground improvements are not included in this amount. The two vets teams we have are self funded. WHAT STYLE OF FOOTBALL CAN PEOPLE EXPECT FROM WORMLEY ROVERS NEXT SEASON? We will be difficult to beat and every player will know their job. I want the team to play with freedom be aggressive when going forward and play the game with pace. Every game we will be going to win so hopefully we put on a real show for everyone this season. 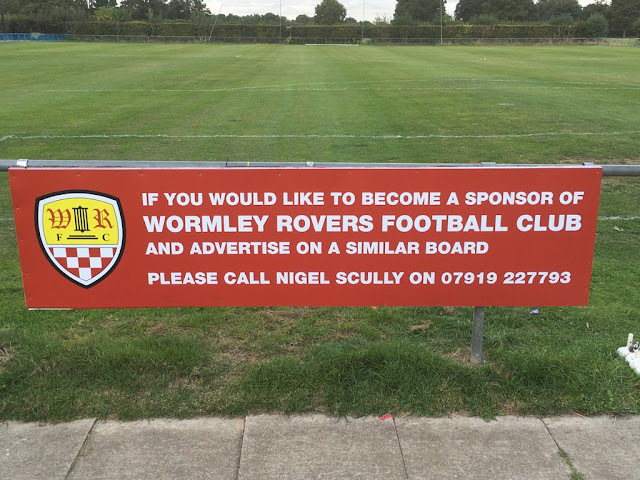 Wormley Rovers have a variety of sponsorships available such as pitch-side boards, player and match-day sponsorships. Please contact the club in social media @WormleyRoversFC. Their ground is on Church Lane in Wormley so if your local why not pay the club a visit in the forthcoming 2018/19 campaign which is all set to be an exciting one in the new league. Thank you Adam for speaking to TheColdEnd and we wish you the very best of the luck for the season.